Okay, this isn’t a recipe so much as a how-to. 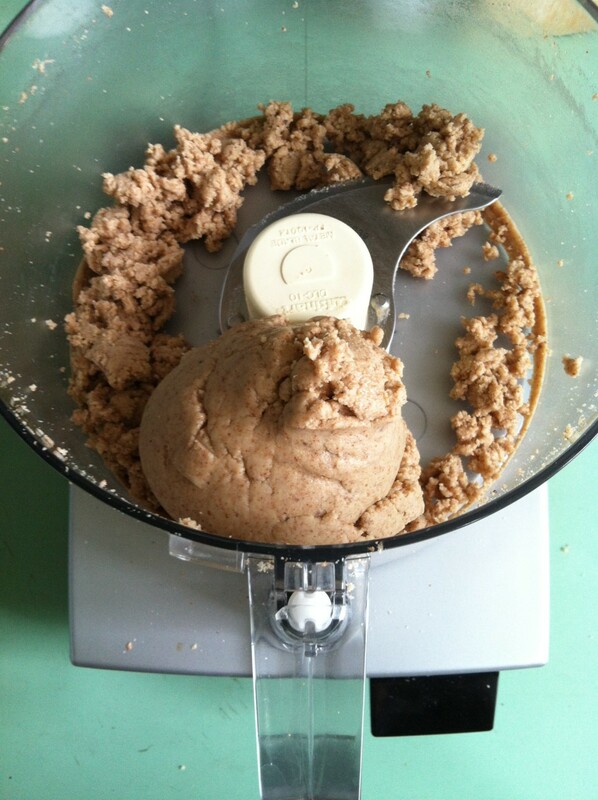 I’ve struggled with making almond butter before; it always came out kind of crumbly and dry. It turns out, making it just takes a pretty long time. 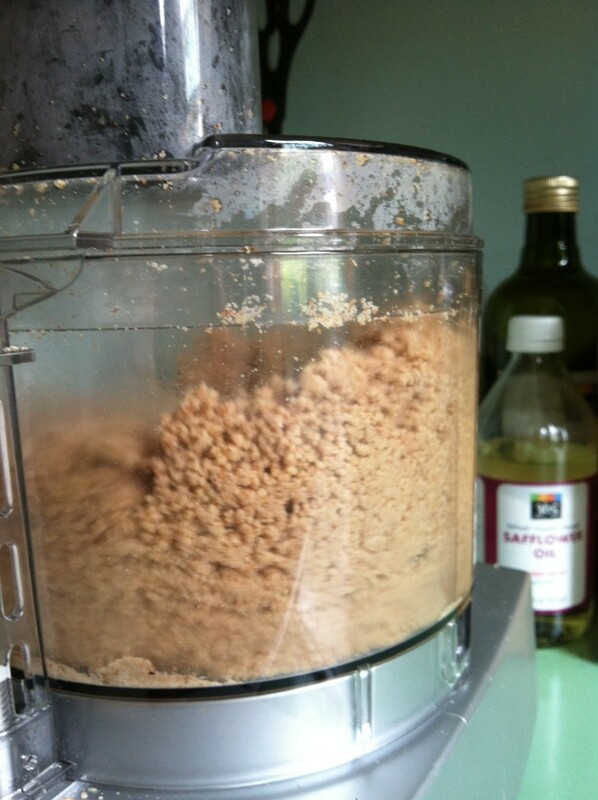 I spent almost 15 minutes pretty much continuously running my food processor. For the first 10 minutes, I stopped a few times to knock down some of the mixture that had built up on the walls of the bowl. When you get to the paste consistency, it’s tempting to call it quits. 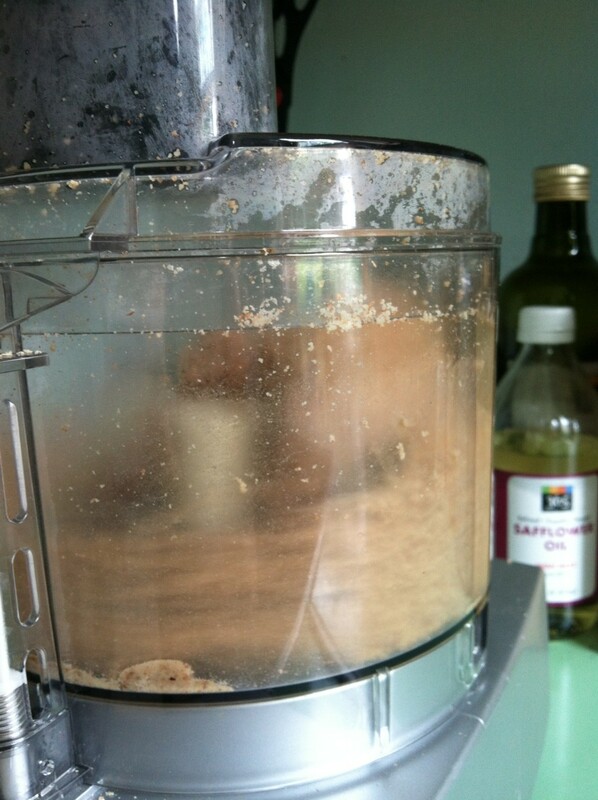 (And, if your food processor is too hot, take a break to let it cool down so you don’t overheat your motor.) Once I hit 12 minutes, I ran it for another two minutes or so, and you can hear when the oil releases; that is, it gets quieter. Take a peek, stir in any errant crumbles or pasty bits, and process for a few more seconds. I don’t care much if I have crumbles or bits in mine, but if you want it super smooth you may need to let it go a little longer. 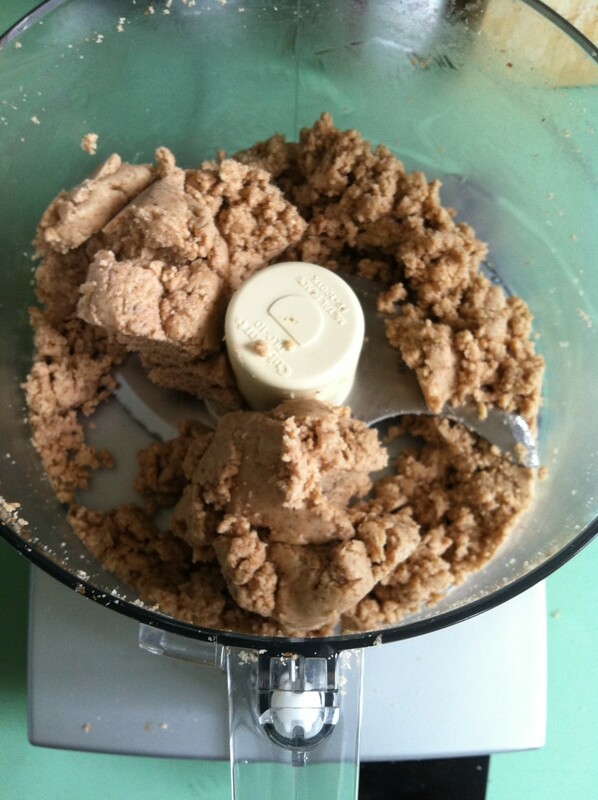 After a few minutes, your mixture will look like this, sort of like wet almond meal, crumbly. Now it should start to come together, and the mixture will be pasty. 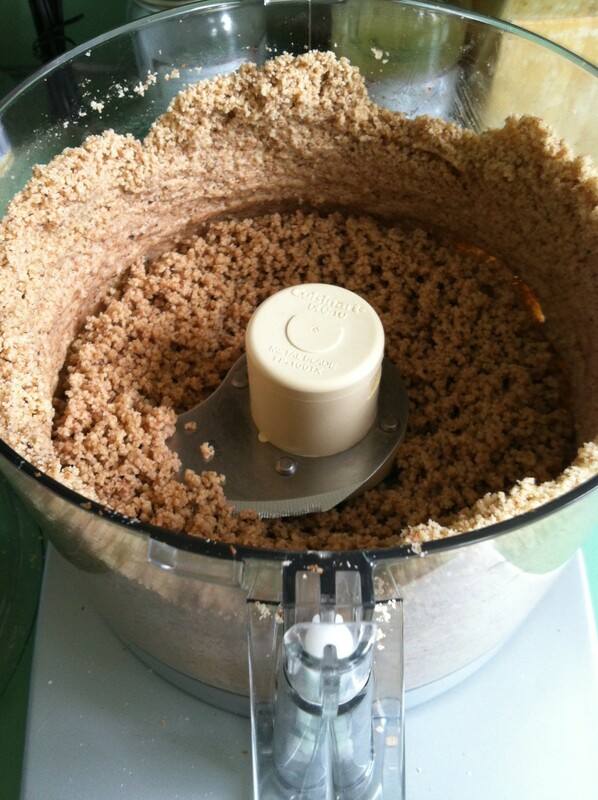 You’ll be able to hear the difference, and the mixture will clump up and become buttery. 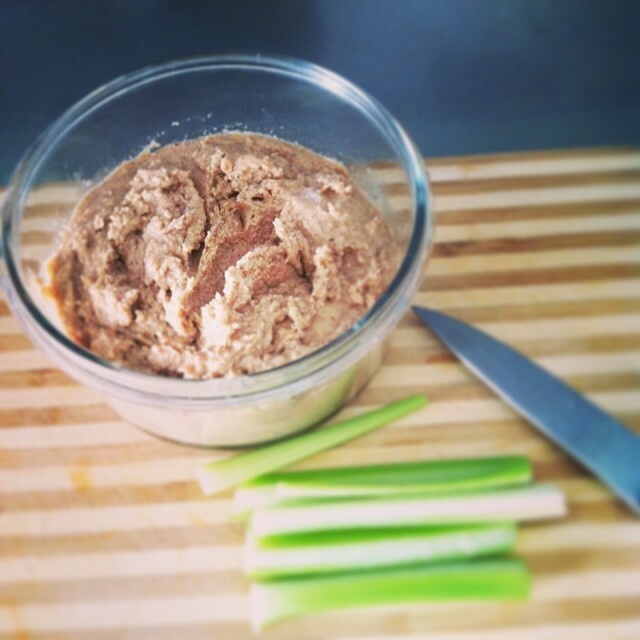 Let it go a bit longer and you should have beautiful almond butter! 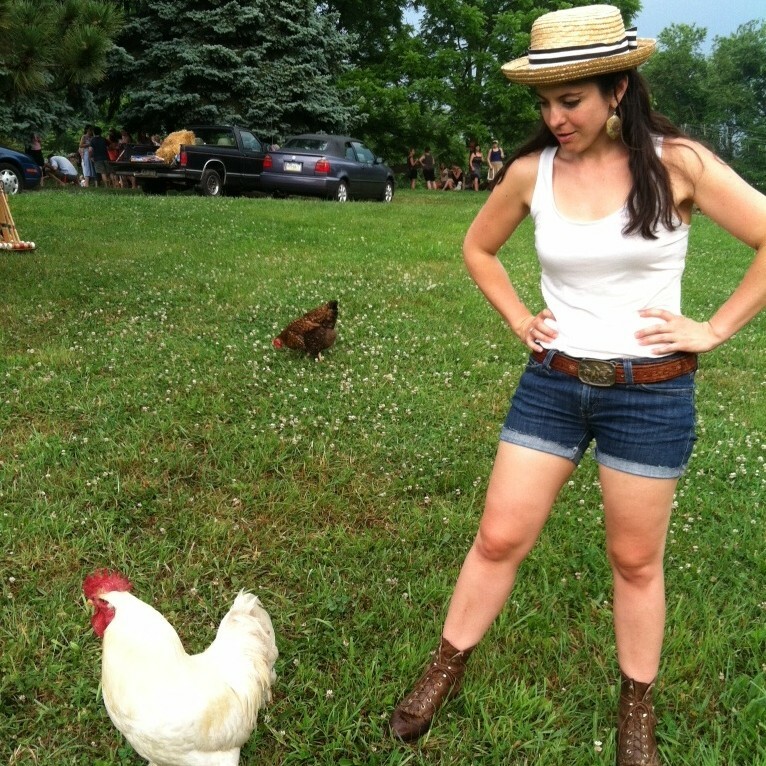 I write about gentle nutrition. Let's talk!